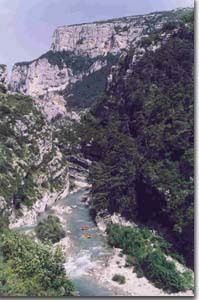 ABOARD Rafting offers various programmes enabling to explore the Verdon area. You can also make up your own 'à la carte' programme according to our availability and to the feasibility of the activities (please see period of validity on the details sheets). We will write a detailed quotation for you. Don't hesitate to contact us ! During the spring, 2 days of sports activities to enjoy the white water. Sunday : Canyoning in the Jabron. Price per person (activities alone) : 90 Euros. 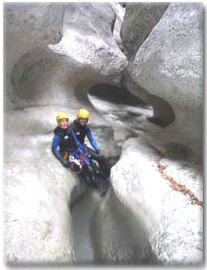 During the spring , 6 days of sports activities to explore the Verdon inside out. Price per person (activities alone) : 210 Euros.